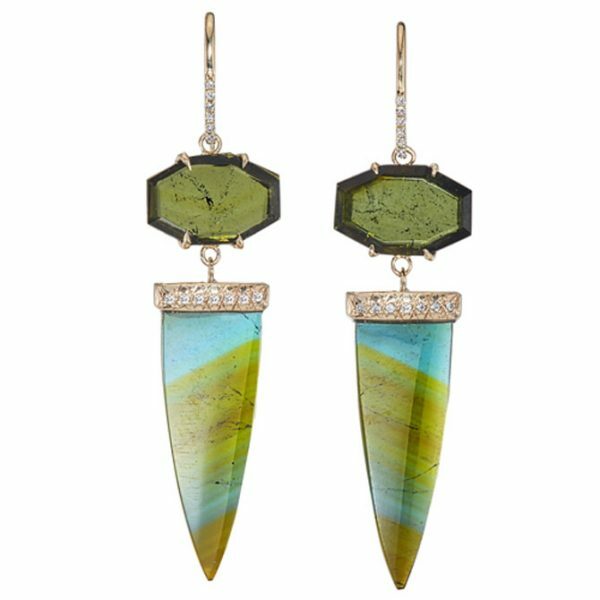 The earrings boast 6.8 cts. t.w. colorless diamonds, 1.45 cts. t.w. fancy colored diamonds, 10.46 cts. t.w. pink sapphires, 0.44 ct. t.w. rubies, and 1.68 cts. t.w. 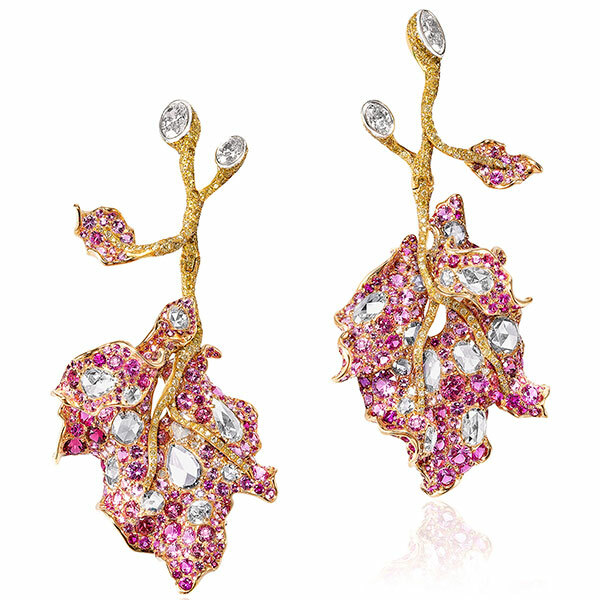 rhodolites set in 18k yellow gold.